Based on reviews from 77,204 users. Learn how our rankings work or see our guide to Onitsuka Tiger sneakers. Updated Apr 2019. Born in Kobe, Onitsuka Tiger products specifically their sneakers, embody the Japanese's dedication to artisanal quality, attention to detail, perfectionism, and hard work. Having been around since the dawn of lifestyle footwear, the brand has amassed a rich history, extensive experience, and reputable name in the sneaker and early sporting world. Whether you're a die-hard Onitsuka Tiger fan or just curious and intrigued by the company's low-key yet strong presence in the market, this in-depth write-up on the brand might interest you. From its inception story to collaborators, famous sneaker models to sizing information and classifications, explore the full particulars of the Onitsuka Tiger brand below. Although the earliest reported shoe release of the brand was designed for basketball, most of their designs were created for the sport of running. The brand's rendition of the Marathon Tabi started their slew of running shoes and eventually led to constant innovation to enhance the athlete's performance. Majority of their designs display a low-top profile, which stems from their running roots, and features innovations grounded in the same sport. Every brand comes up with a signature look to their footwear design so consumers can quickly identify their brand from the rest of the market. Some examples are the six-inch yellow boot for Timberland and the high-top Chuck Taylor for Converse. As for Onitsuka Tiger sneakers' signature characteristics, check them out below. Despite carrying a number of more modern and minimalist designs, the majority of the brand's sneakers still display the significant ASICS stripes on the sides as their logo. Although there are plenty of design variations in Onitsuka Tiger’s sneaker line up today, consumers still equate the T-toe overlay style to the brand. The Mexico 66, the company’s most popular silhouette, made this aesthetic famous. Onitsuka Tiger takes pride on its Nippon Made collection. This range is the brand's high-end line where pairs are entirely made in Japan by hand. With high-quality materials and the Japanese artisans' high-level techniques, Nippon made sneakers are superior quality shoes. Onitsuka Tiger sneakers are made available for men, women, and kids that come in a wide array of colorway options, textures, and prints. As with any brand that has stood the test of time, their inventory eventually expanded to include trendier pieces to catch up with today's competitive market. As a result, despite having been grounded in low-top running footwear, Onitsuka Tiger now offers mid-top and high-top sneakers but mostly as an iteration of previously released models. Sizing Guide: Are Onitsuka Tiger sneakers true to size? Ever since the boom of the Internet and online shopping we've seen or read unfortunate reviews about sizing issues on the merchandise consumers sometimes receive through the mail. Hence we've rounded up the footwear sizing offered by Onitsuka Tiger to help fans and first-time purchasers. This sizing guide presents a general guide on the brand's sneaker sizes and fit. Keep in mind that each release could have a different fit compared to previously released shoes from the same range. It is also of utmost importance to note that each foot is unique and individual when it comes to shape, size, and needs. The brand's adult sizing is based on standard U.S. footwear sizes and shows a 1.5 difference between male and female sizes (with the male being higher). It also shows a centimeter-based sizing that's grouped accordingly to its corresponding U.S. size. Based on reviews, Onitsuka Tiger sneakers with leather uppers tend to fit stiff and narrow at first. But after some break-in period, the upper would eventually soften and contour after the shape of the wearer's foot. Below are some of the brand's sneakers that are grouped based on the majority of the users' sizing feedback. A significant part of the brand's footwear designs remains unchanged as when they first came out in the 50s to the 70s and therefore displays minimal, simple, and retro yet classic aesthetic. Most of the distinction can be seen through materials used, textures, prints, and colorways. To further help you in your decision on which pair you should go for, or maybe you just want to get familiar with the brand's different offerings, well then no need to look any further because we've compiled a brief run-through of Onitsuka Tiger's various sneaker types. This part is sorted into two groups: design-based and collections. This first group is based on the distinct design elements of Onitsuka Tiger sneakers that could play a significant role in the consumer’s decision process. The shoe's upper material plays a big part in how the shoe will last, look and fit. Just like any other brand most of Onitsuka Tiger's sneakers are made from leather due to the material's durability, premium look and ability to shape after the user's feet. But their footwear is not limited to this. Below are the current upper materials being used by the brand. Original models released between the 50s to the 60s are usually made from leather, as it was the norm for shoes back then. Moreover, Onitsuka Tiger's latest releases of metallic colorways are crafted from leather. Users have said that Onitsuka Tiger shoes crafted from this material seem to fit quite snug at first but would eventually contour after the shape of their feet. Check out Onitsuka Tiger Colesne Lo and Onitsuka Tiger Fabre Nippon Lo as examples. As the years progressed, the combinational use of either nylon and leather or mesh and leather started surfacing in the world of running. This fusion of materials reduced weight on running shoes and kept the athlete's feet dry at the same time. Example of a mixed material kick is the Onitsuka Tiger Serrano. Onitsuka Tiger sneakers with uppers made from suede or wool are predominantly made for aesthetic and leisurely purposes. Take Onitsuka Tiger Ally and Onitsuka Tiger EDR 78 DX as examples. Canvas or Knit materials combined with leather make for a great summer shoe, as it is lightweight, breathable and sturdy at the same time. Consider including Onitsuka Tiger’s Mexico 66 Knit and Lawnship 2.0 Knit in your list of summer shoe purchases. Onitsuka Tiger sneakers' closure systems technically only fall into two categories: slip-on and lace-up. However, the brand utilizes different designs for their slip-on construction for enhanced style and aesthetic. Read on to know which one will suit you best. Lace-up – This traditional closure system provides a snug, lockdown fit and offers an old-school yet time-tested sporty look. It uses eyelets and shoelaces to make sure feet are in place. Almost all Onitsuka Tiger sneakers make use of this closure system such as the Onitsuka Tiger GSM and Tsunahiki models. Slip-on– This type of sneaker is easy to use and displays a minimal upper design. As the name implies, the user just has to slip his/her feet in to wear it. Most consumers prefer it due to its effortlessness of not needing to lace up shoelaces. Look up Onitsuka Tiger Appian and Tiger Slip-On Deluxe for examples. Laceless - These shoes have all the features of a lace-up Onitsuka Tiger sneaker except shoelaces. It displays a tongue along with eyelets, but it primarily works as a slip-on kick as its tongue is stitched onto the side panels of the upper. Some shoes that fall under this category are the Mexico 66 Slip-On and Paraty Mexico 66 version. Modern Lace-up system– This closure system can be seen on the Onitsuka Tiger Monte Creace, which utilizes a one-piece bootie constructed upper with a side loop lacing system. The shoe could be used solely as a slip-on kick given its bootie construction, but users are presented with options to tighten it further using the lace-up system. This second group of classifications includes the brand’s different collections. Each collection features Onitsuka Tiger sneakers that share the same distinct characteristic that makes them special and different from the rest of the shoes in the brand’s lineup and sometimes from the rest of all sneakers in general. The shoes that fall under this category are said to be special because the entire process of manufacturing takes place in Japan. And with the reputation of the Japanese of being hardworking, perfectionist, and excellent attention to detail, consumers are treated with a premium quality shoe. Materials used on these sneakers are very high quality. Nippon Made sneakers are usually crafted from premium leather and suede. Making one of these shoes is labor-intensive as everything is made by hand, from cutting to dying to stitching. Some of the models included in this collection are the Onitsuka Tiger Ultimate Trainer, Mexico Mid Runner DX, and Tiger Corsair Nippon. This collection houses the brand's tennis-inspired sneakers, which displays an entirely different aesthetic compared to most of its running-inspired models. Onitsuka Tiger sneakers that are included in this court-based collection feature bulkier designs and thicker soles that take after the 70's tennis kick prototype. The Court Collection consists of two shoe models, the Onitsuka Tiger GSM and the Onitsuka Tiger Lawnship 2.0, and their various iterations. The Lawnship 2.0 exudes a more minimal style as it replaces the ASICS stripes with perforation details and embossed logo branding. Both shoes are available in various colorways, upper materials, and finishes. As what the straightforward name of this collection implies, it consists of Onitsuka Tiger sneakers that are crafted from vegan-friendly materials, which means the kicks is not made of any animal by-products. This group of lifestyle sneakers caters to consumers who choose not to support any merchandise that took part in animal cruelty. Most of the sneaker models that are included in this collection have not always been manufactured with vegan-friendly materials, and vegan consumers were reported to have a hard time figuring out which is vegan, so the brand made this collection to make it easier. As of this writing, the sneaker models that are included in this range are the Onitsuka Tiger Ultimate 81 and the Mexico 66 and their different versions. Thanks to pop culture the Onitsuka Tiger Mexico 66 is the brand's most popular silhouette ever. Bruce Lee and Uma Thurman wore it in hit movies that eternalized the shoe into stardom. But this collection showcases the famous kick in a more premium light as it has been reimagined to commemorate the founder Kihachiro Onitsuka's 100th anniversary. Renamed as the Mexico 66 SD, the sneaker retains its original design with the signature stripes and T-toe overlay, but this time it features two different densities of the fuzeGEL technology in its midsole and combined with OrthoLite insoles for enhanced comfort and cushioning. It is available in a number of colorway options including the world-renowned Tai-chi Yellow and Black colorway. BAIT is a sneaker store from the U.S. that houses a vast collection of anything streetwear, from clothes to accessories and of course sneakers. In 2015, BAIT along with Onitsuka Tiger released a collection to celebrate the late Bruce Lee's 75th birthday. The collection included two iconic Onitsuka Tiger sneakers, the Corsair in "Jeet Kune Do" colorway and the Colorado Eighty-Five in "Legend" colorway. The classic Corsair is the kick Bruce Lee famously wore in Game of Death and the name of the colorway "Jeet Kune Do" serves as a nod to the iconic martial artist's philosophy. The kick is crafted from luxurious black suede and premium navy leather. Engraved dragon motif and Bruce Lee's "Kickman" logo pay homage to Bruce Lee and the grand masters of martial arts. The second pair included in this collaboration is the Onitsuka Tiger's old school Colorado Eighty-Five in the "Legend" colorway which takes design cues from Lee's final film, Game of Death's infamous yellow and black. Andrea Pompilio is an Italian designer who's known for his relaxed yet sophisticated style. He has been a long time collaborator of the brand who has put his own twist on Onitsuka Tiger sneakers, apparel, and accessories for at least three collections. The partnership started in 2013 and had produced several stylish sneaker designs like the iconic X-Caliber silhouette from the 80s donned with paint-splattered designs. Pompilio's favorite Onitsuka Tiger's sneaker silhouette seemed to be the Colorado Eighty-Five, which he reimagined at least four times. Finally, the latest sneaker collaboration between the two was in 2015, which included two silhouettes: the Glory Gladiator and the Alliance. These kicks donned a minimal and tonal design as it was intended for the hotter seasons. END. is a UK-based retailer who's known for collaborations with different brands. In 2015, END. and Onitsuka Tiger partnered to release a sneaker that drew inspiration from the shoe's namesake state of Colorado's wildlife. This release's colorway is dubbed the "Bluebird," which took cues from Colorado being the home to three species of Bluebird. Finishing details consist of blue-tinted 3M panels, a feather print at the heel, and rope shoelaces. In 2014, an unlikely partnership blossomed between the iconic leather goods label Coach and longtime footwear brand Onitsuka Tiger. The two companies released a collection of various Onitsuka Tiger sneakers that include high and low-tops with premium leather construction. The pairs displayed tonal and subdued colorways with Onitsuka's signature stripes and Coach's logo subtly incorporated in both the upper and the footbed. The two brands have teamed up in their very first partnership in 2015. This release marks the celebration of the 30th anniversary of the Colorado Eight-Five sneaker model. Two colorways were launched in a limited edition and took design inspiration from Colorado’s natural landscapes. Lastly, the tongue showcases artwork by artist and illustrator Christopher David Ryan. Are Asics and Onitsuka Tiger the same? No, they are different. A bit of background might help. A former military officer named Kihachiro Onitsuka launched Onitsuka Tiger in 1949. 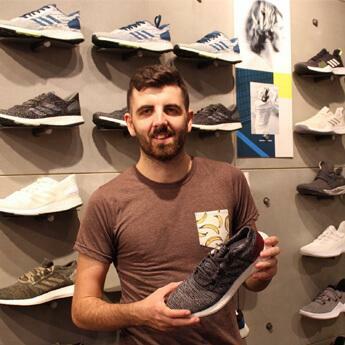 He believed that being fit and active is the solution for post-war physical and mental health issues, so he wanted to provide the right footwear for it. Fast-forward to 1972, three brands namely GTO, Jelenk and Onitsuka combined into one and became known as ASICS. Today Onitsuka is still under ASICS but caters to an entirely different market and exudes a more mature and old-school style compared to ASICS' designs. Are Onitsuka Tiger casual sneakers cheaper in Japan? Travelers have shared that it depends where you're from and the sneaker model in question. Some have noted that a particular model is cheaper in the UK than in Japan while other models are more expensive. The advantage you could get when you choose to shop Onitsuka Tiger sneakers in Japan is that you can get hold of Japan-exclusive releases and original styles. Are Onitsuka Tiger shoes comfortable? Onitsuka Tiger sneakers are mostly unaltered since their first release in the 50s to 70s; hence consumers should expect retro comfort as well. Users said that vintage models such as the Mexico 66, Serrano, and Corsair provide an "okay comfort," not too comfortable and not that uncomfortable either. Some people with feet problems were concerned with the shoes' thin sole, and they resolved it by inserting their own insole. You could also search for newer iterations of retro models as the brand has released a few with technologies for enhanced comfort. 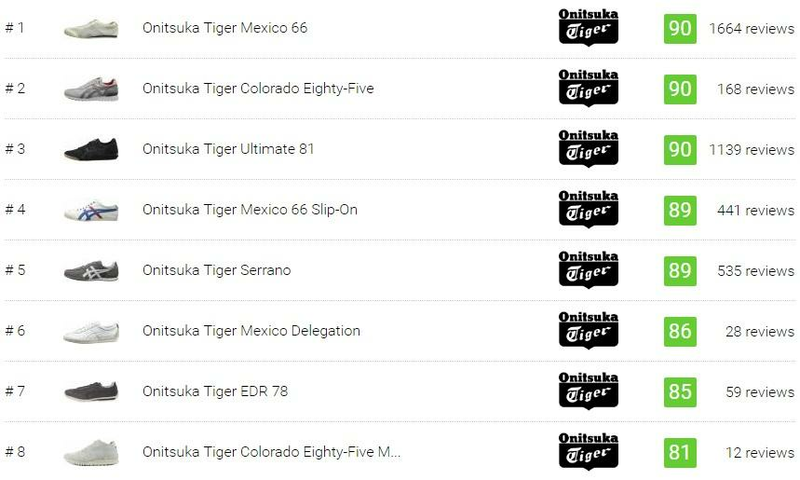 If you want thicker soled Onitsuka Tiger sneakers, check out their newer models such as the Mexico 66 SD, Ultimate 81, GSM, Tiger MHS CL, Colesne RS, the Tiger Ally or the Fabre Nippon Lo. Where to buy Onitsuka Tiger lifestyle sneakers online? How to spot fake Onitsuka Tiger sneakers? Sneaker models that have fake counterparts are mostly popular silhouettes. For Onitsuka Tiger sneakers, at least three models have counterfeit versions available in the market today. These are the Mexico 66, Ultimate 81, and the Serrano. Here are some ways that could help in identifying an authentic Onitsuka Tiger shoe from the fakes. If you’re eyeing for a particular design or model, make sure to visit Onitsuka’s official site to see if they carry the design. If the pair’s price is being sold at a suspiciously low price, say under $50, given the fact that Onitsuka Tiger sneakers are quite pricey then it is most likely a fake. Poor quality in stitching and materials are another excellent way to spot a fake. For models with extended rubber toecap such as the Mexico 66 make sure to check if the rubber is flush to the touch. It should feel like the rubber is integrated into the upper material and not bulging out. Remember that the best way to avoid buying fake Onitsuka Tiger sneakers is by purchasing from reputable shoe stores, be it an online or a brick and mortar store. In 1949, Kihachiro Onitsuka launched the brand to help the youth of Japan after the war ended. He believed that playing sports and staying active was a great way to unite the people and uplift their spirits. Commitment to detail and innovation have always been at the core of the brand's DNA since its inception. Furthermore, the brand is grounded by the vision of "Anima Sana In Corpore Sano," which means A sound mind in a healthy body. With this belief, Onitsuka Tiger strived for constant betterment and innovation. Kihachiro's eureka moment occurred while he was enjoying an octopus salad and noticed that a tentacle got stuck onto the bowl. He applied the tentacle's suction concept onto shoes' outsoles for better grip. His shoes quickly became the footwear of choice in the burgeoning high school basketball scene in Japan during that time. Years after, Onitsuka Tiger sneakers crossed continents and were frequently seen on professional athletes' feet. Most of the shoes that the brand manufactured during the 50s to 80s are either for running or tennis - the two most popular sports during these eras. In 1972 Onitsuka Tiger along with two other companies merged together and dubbed this unified brand as ASICS. But some time in the late 80s to the early 90s, Onitsuka Tiger sneakers seemed to fade into the background amidst intense competition between footwear companies. Fast-forward to 2001, ASICS resurrected the Onitsuka Tiger brand and had since been discovered by old and new fans alike. Today, Onitsuka Tiger is best known as a lifestyle brand that fuses its Japanese heritage with modern flair. The brand now enjoys groups of loyal fans from worldwide and offers apparel, bags, and accessories as part of their lineup. Moreover, the Onitsuka Tiger sneaker range is ever growing with new and more modern silhouettes without compromising its roots and heritage. The first shoe released by the brand that featured the suction cup patterning from the octopus tentacle is called the OK Shoe. OK means Onitsuka Kahichiro. It was introduced in 1950. In 1955 the first wrestling shoes were made by Onitsuka Tiger, as requested by two people from Japan’s wrestling scene. It didn’t do well in the local market but became a hit in the U.S. with at least 100,000 pairs sold. In 2016 the brand held an exhibition in Singapore to celebrate the 50th Anniversary of its iconic stripe logo. The company tapped on 50 Singaporean creatives to come up with a custom pair of the Mexico 66 silhouette. A year later in 2017, the brand along with Japanese fashion label called Anrealage introduced the first ever augmented reality sneaker. In early 2018, the Japanese brand released a Chun-Li-inspired Mexico 66 SD to celebrate Capcom’s Street Fighter’s 30th anniversary. Its colors took inspirations from Chun-Li’s yellow kicks first seen in 1995’s Street Fighter Alpha series.